Papaya Breakfast Bowl. This bowl is so pretty, it is hard to eat it! Just a reminder that even in the dark of winter, we can still enjoy delicious breakfast bowls that are healthy and light. 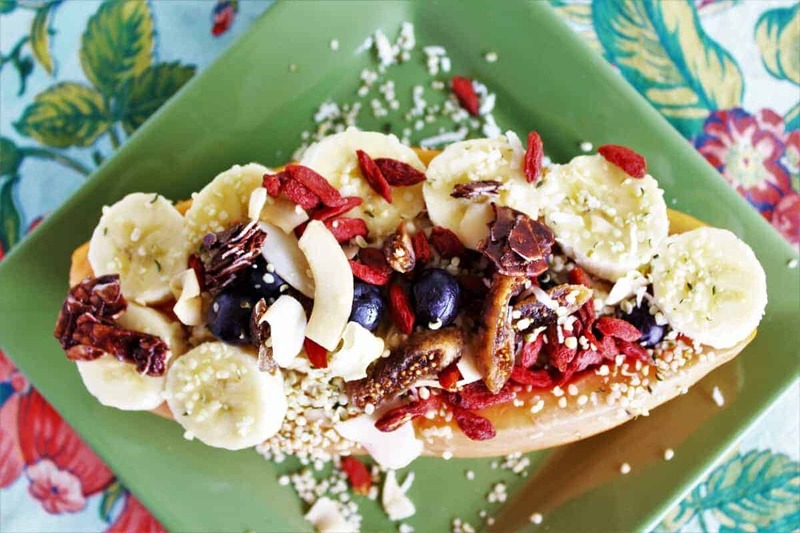 Add all the delicious superfoods–papaya, goji berries, blueberries , hemp seeds, figs, cacao, sliced banana coconut chips, dried figs and hemp seeds. Vegan, gluten free, dairy free. Delicious papaya breakfast bowl with fruit and superfoods. 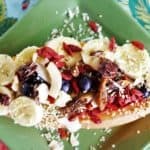 Sprinkle goji berries, coconut chips, chocolate nibs, figs and hemp seeds.